Loving her piping style! 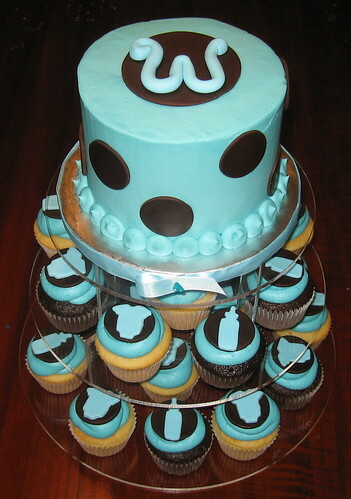 Spesh love the monkey and yellow cupcake tier! I am loving Cake Girl's work! Beautiful! The baby shower tower is my favorite!